We have all heard the horror stories, and indeed, some of us have lived them ourselves – my hard drive failed, and I lost everything. Backups are so very important! 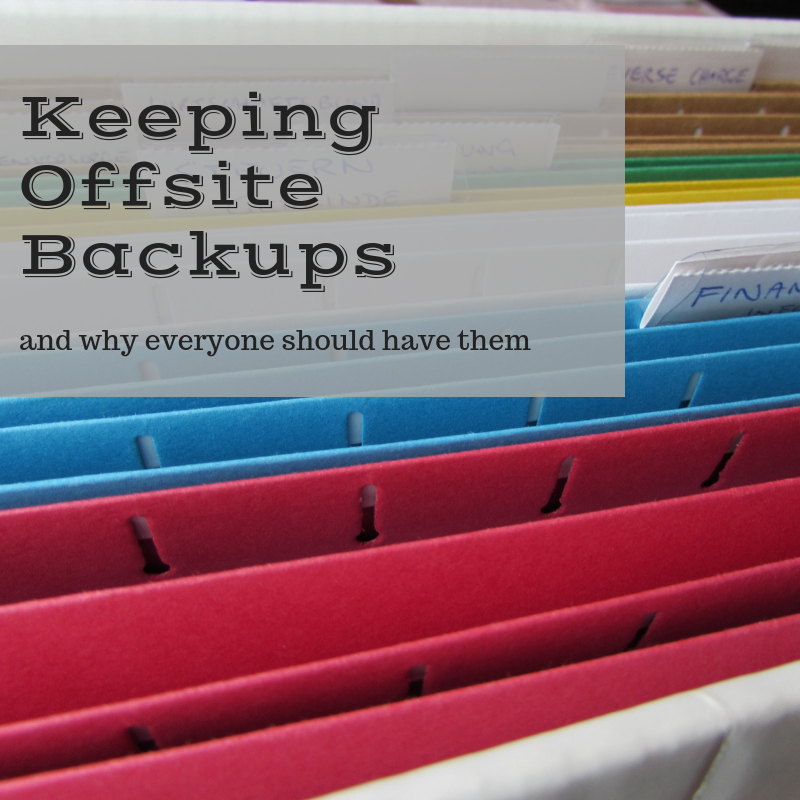 However, there are many different kinds of backups, and which of those backups we use is something we all need to think about before catastrophe strikes. There have been numerous events across many major hosting companies, ranging from “unexpected thermal events” (which is to say, fires) to hardware failures to natural disasters, all of which have resulted in some measure of data loss. You can protect yourself from these events 100% by taking a few simple steps. Before we get into those specific steps, though, let’s talk about backup security in general. Black Chicken Host provides on-server backups as a courtesy service; per our Ter ms of Service, these backups are not guaranteed. While they are typically very robust and trouble-free, it is possible something might happen to them rendering them unusable. 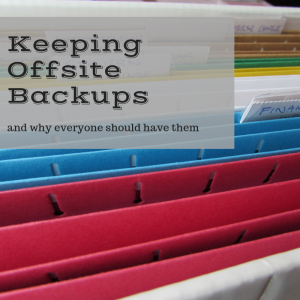 The most important step in obtaining additional backup security is to have off-server backups. You can set this up either with a WordPress plugin, such as BackupBuddy or Updraft, or you can manually download cPanel backups to your home or office computer. Pro tip! If you are utilizing a backup plugin we recommend downloading those backups immediately. Otherwise, your disk space allowance will quickly fill up which can render your site inaccessible. For our Standard Shared clients, we have our courtesy backup system which backs up your sites once a month and several times during the week. You can manually generate and download backups via your cPanel account access too! The Backup Wizard feature allows you to create a full backup of your entire account for download (site files, databases, and email) or you can pick and choose which part of your account you want to backup. We always recommend having a full download of everything, just in case! For our WordPress Only clients, we have a rolling incremental backup available of your site taken every morning. We highly recommend utilizing a backup plugin to keep local backups saved to your computer. Again, you will want to make sure you have these backup plugins download to your computer or other remote location (Dropbox or Google Drive) to keep your disk space allowance in check. For our VPS server clients, we offer the widest range of backup solutions. Like our Standard Shared clients, we have our courtesy backup system which backs up your sites once a month and several times during the week. You can also manually generate and download backups via your cPanel account access. If you have a dedicated WordPress Only server, we have a rolling incremental backup available of your site taken every morning. For all of our VPS server clients, we also offer a paid-for, off-server backup option called “Time Snap”; this takes weekly snapshots of all files on the server, and retains four rolling restore points. Rather than restoring a single site or account, this restores the server as a whole, which is great in the event the whole server becomes unusable. The cost of these server-level backups is 20% of the server cost. Our BCH Managed WP Services also include backup plans! Backups are stored offsite at the Amazon S3 infrastructure and retained for 90 days before being rotated out. We can also download, restore, and even clone your site with a few clicks of a button. Plans include Weekly, Daily, 2x Daily, 4x Daily, and Hourly. Learn more here! As always, please contact us if you have any additional questions or concerns about site backups or what options are best for you. This entry was posted in Blog, Customer Sites, Hosting, Tips and tagged backups on March 4, 2019 by hannah. Hello, Black Chicken Host Family! Holy cow, folks – we’ve been working on some supercool things behind the scenes, and we’ve been gradually rolling them out over the past two months. Now that we’ve gotten everything running smoothly, I’m ready to tell everyone what we’ve been up to, and what our customers’ new options are. People on our newsletter list, or who have recently been working with our intrepid support administrator, Melissa, have probably heard we are urging our customers to move away from cPanel entirely. This likely comes as a surprise to hear from a web hosting company, as cPanel is one of the biggest control panels out there, and moving away from it is a pretty big deal. While we are not eliminating cPanel servers entirely, we have found a much better alternative that is not only faster, but also less expensive. We really recommend moving to this new, non-cPanel solution for anyone using WordPress. With the launch of our WordPress-Only package (just $5.99 per month per WordPress install,) we have brought Black Chicken Host customers onto the leading edge of web hosting technology. We have seen sites’ load time decrease radically with this product (up to 50% in some cases,) and our WP-Only customers are really happy with the performance they’re receiving. The only drawback to the WordPress-Only product is there are no email addresses available with it: Customers on that service must host email elsewhere, and we’re strongly recommending G Suite (we use it ourselves.) We have a separate post about Why G Suite is Better Than Hosting Email on Your Web Server – feel free to check that out to see why we’ve become such advocates for the service. To demonstrate how amazing this product is, we put together a really, really bad website – on purpose. We threw the most terrible plugins on there, and plenty of them, to see if we could bog the server down – and we couldn’t! You can see that site and read why we made it so bad here: https://wp.blackchicken.host. Moving away from the “jack-of-all-trades” cPanel product allows us to focus upon what 99.95% of our customers really want – a fast WordPress hosting experience, like those offered by some of our competitors. We really, really found a great solution – send an email to our support team if you’d like more information! This is another major change for Black Chicken Host. Since our inception, we have run our servers out of the same company’s facilities – a hosting provider who used to be absolutely wonderful. However, they have experienced many changes these past two years, and we can no longer rely upon them for their previous excellence. This has adversely impacted some of our customers on occasion, and we can’t have that. Thus, we are moving to a better, faster, more modern provider – DigitalOcean – for all of our servers, both cPanel and non-cPanel. As we retire our existing servers, we’re getting in touch with our customers to arrange the free migration process. We hope to have moved completely away from our current datacenter by the end of June. If you have any questions or concerns about your hosting experience with us, or if you’d like to sign up for service, just let us know! Our contact form will get you in touch with our support team. This entry was posted in Blog, Customer Sites, From the Founder, Hosting, WordPress on May 25, 2017 by Host Administrator. I’ll get right to the point: Hosting email is the bane of the web host’s existence. Providing email services on a server that is also hosting web pages introduces a lot of complexities into server administration, and, as web hosts, our focus is on the website portion of the hosting experience. Email accounts are an extra courtesy service we provide because some people really want it. Our IP’s are sometimes blocked by third-party providers, such as Google, ATT, Hotmail, and others, due to the volume of mail being sent from them. If your web server goes down, your email goes down with it. You can get blocked in the firewall for too many failed email login attempts. Hosting email on a server slows it down, plain and simple – and your website is slower as a result. While we are not discontinuing cPanel (and therefore email accounts associated with web hosting accounts) entirely, we are strongly urging people to move away from cPanel. You can read about why that is in another post, The Great and Terrible cPanel. 99.95% of our customers use WordPress – that’s where we want to focus our attention and resources. Moving to servers without email accounts is the way of the future – the really really fast, smooth future. If customers choose not to have email with their hosting package, what’s the best option? We very strongly encourage people to use G Suite (formerly Google Apps) for email, rather than their hosting server. First, there are many customers on each of our shared servers, and, as a result, a lot of email is sent from it. Many third-party providers see the volume of email coming from the IP and block it for the volume of mail being sent. Your email will function, even if our server is offline – your email is wholly separate from your hosting. To sum up – Google does mail really, really well: Far better than any web host out there, ourselves included. You’ll have a better email experience using their services, and a better web hosting experience moving to a non-cPanel server. If you have any questions, or if you’d like to move to a non-cPanel service, drop our support team a line, and stay tuned here – more information coming soon! This entry was posted in Blog, Customer Sites, From the Founder, Hosting on May 3, 2017 by Host Administrator. Black Chicken Host now offers SpamFreeze, a robust anti-spam solution, for only $5 per month per domain! If you are being repeatedly hit by email from the same IP address, the SpamFreeze firewall will begin blocking those emails after 50 are received within a 30-minute timeframe. We can configure your SpamFreeze to either pass through all virus-free email and tag it with a “SPAM” tag for easy filtering into a separate folder, or to outright block anything the firewall detects as spam. I recommend starting out with tagging in place, so you are able to ensure no legitimate email is being flagged by the system; our false-positive rates are very, very low, but we wouldn’t want anyone to miss out on important mail. Once you’re confident everything works to your liking, it’s a very easy matter to change from tagging to outright blocking. Powering SpamFreeze is a robust cluster of Barracuda devices; they will not become saturated or cause delays in your email. Barracuda is amongst the most trusted names in security worldwide. For only $5/month, you may never have to deal with spam again! Get in touch with us today if you’d like more information, or if you’d like to sign up. This entry was posted in Blog, Customer Sites, Hosting, Tips and tagged email, products, spam on March 7, 2016 by Host Administrator. The nature of technology is growth and change – what’s super-hot and super-fast one minute is obsolete and out-of-date the next. It’s a perpetual learning curve for people who want to stay on the latest and greatest hardware or software platforms, and a constant source of frustration for people who just want to write a blog without worrying about the tech. As a web host, it is our duty to provide secure, stable, and user-friendly environments and features for our customers, so you can do what you do best – get your content out there! We realize keeping your software up-to-date can be a time-consuming task, but it is so very important to the security of your account. Thus, we decided to take it upon ourselves to do it for our customers. We have seen some nasty malware put into place due to out-of-date plugins (RevSider, Gravity Forms, et cetera) which have had effects ranging from having the server’s IP address black-listed at Google and ATT to destruction of account data. Going forward, we will be finding all outdated software on our servers and updating everything to the most current version. In almost every case, this should be completely transparent to you and your readers. In very rare cases, updating a theme may cause your site’s appearance to change. In other rare cases, updating a plugin may cause it to not function correctly in conjunction with the other plugins on your site. While we don’t ever want to interfere with your site’s functionality, it behooves us all to keep everything on its current, most secure version, and it is incumbent upon BCH to keep you all as safe as possible. We’ll have another blog post soon about what kinds of security exploits can happen as a result of outdated plugins – it’s scary stuff! – but that’s all for now. Please do let us know if you have questions or concerns! This entry was posted in Blog, Customer Sites, From the Founder, Hosting, WordPress and tagged security on September 8, 2015 by Host Administrator. We have some pretty snazzy news to share with you; we’ve added the ability for you to unblock your own IP address from the firewall! Most of us have at one time or another entered an incorrect password one too many times, or have run afoul of ModSecurity triggers on our websites, which results in the server denying all traffic to and from our IP address. I won’t go into all the technical details, but essentially, the server thinks you’re trying to do something mischievous (such as brute force attacking a password,) and has protected itself by blocking the IP. Our stringent security measures help to keep your data safe, but they do occasionally block a legitimate IP address. Previously, if your IP had become blocked, you would have had to open a support request to get it unblocked. While we do our best to attend to all requests quickly, sometimes there is a delay and you of course want to get your work done. Thus, we’ve added the ability for you to unblock your own IP address without needing to contact us at all. This will only work for servers upon which you have an account, and only authorized Black Chicken Host customers can unblock IP’s. Then, click “view details” next to the affected hosting account. On the following page, which may take a moment to load, click “Unblock IP” from the menu on the left. If the IP address you are writing from is blocked, it will automatically be detected by the software and the block will be lifted. Or, you may enter a different IP address to unblock manually. We are of course always happy to perform this task for you; this self-service option is for people who prefer to unblock themselves quickly. There are advanced features available, too, such as proactively whitelisting an IP address for a certain period of time, and resellers are able to unblock their clients’ IP addresses, as well. Please do let us know if you have any questions or concerns; we’ll be glad to help! This entry was posted in Blog, Customer Sites, Hosting, Tips on June 7, 2015 by Host Administrator. From time to time, you may get an email from your server that says you’re approaching your bandwidth limit for the month – what is that? In a nutshell, “bandwidth” is the volume of data being sent from your server out to the internet. Some elements, such as images, are larger and will consume more bandwidth. Text takes up very little bandwidth. If you have an image that is 5MB in size, it will take 5MB of your bandwidth allocation every time someone loads that image on your site. Busy sites consume more bandwidth. Why did I get the email? We have our servers configured to send out emails to our customers when they are approaching their monthly bandwidth allocation. Most servers will send out emails at the 80%, 90%, 95%, and 99% marks, which typically gives ample time to plan for a bandwidth increase. If you receive the 80% notice, and there are only a few days left in the calendar month, you likely will not need to add additional bandwidth. If you receive the 90% notice, and there is only a day or two left in the calendar month, you may be able to get away with that, too. However, you should be aware that once you hit that bandwidth limit, your account will automatically be suspended. This is a fully automated process that will occur unless bandwidth is added or other arrangements are made in advance, regardless of the time of day or night the limit is reached. Your site will be offline, and the message “Bandwidth allocation exceeded” will be displayed to anyone trying to access the site. Why do I have to pay for more bandwidth? We pay for the bandwidth our customers use, and we include a reasonable amount of “free” bandwidth in your monthly hosting fee. Because we ourselves have to pay for the total amount of bandwidth used by our customers, we can only allow so much “free” bandwidth before we start losing money. Our network carriers make money by charging us for the bandwidth we use. You can think of bandwidth like water utilities: The data is like water, the internet cables are like pipes: The pipes/cables are always there, and the water/data flows through them. The amount of data flowing is metered and charged for, just like water. The utility company/internet carrier charges for the volume used. Because we’re a Mom and Pop shop, and not a big-box host like our competitors, we unfortunately pay a higher rate for bandwidth than they do. Bandwidth units are bits, bytes, kilobytes, megabytes, gigabytes, et cetera, just like disk space; however, they are not the same thing. Just as an ounce can be a unit of weight or volume, a gigabyte can be a unit of space or volume, depending upon its context. Overall server bandwidth is measured by network equipment called switches. Network topography is likely something you’re not terribly interested in learning about, but to sum it up, a switch is a device that connects your server to the network, and it also directs traffic to destinations on a network. Your server is connected to the switch by a network cable that connects to a port on a switch. Each bit that comes through the port is measured and routed by the switch. Your account’s bandwidth usage is measured by the server itself, through various scripts. How do I know how much bandwidth I’ve used and how much I’m allowed? You may also log into your cPanel account and click the “Bandwidth” icon to get a graphical overview of your recent bandwidth utilization. How can I decrease my bandwidth usage? Many times, high bandwidth consumption is caused by large images being served from a site. Be sure to optimize your images for website usage – don’t use the giant original from your digital camera, and always resize images to the size at which they’ll be displayed. The built-in WordPress image “resizer” only changes the displayed size – it does not reduce the amount of data sent to the browser. There are a number of WordPress plugins that can go through and resize all of your images; however, some of these can cause high load on the server, while others can radically decrease Dashboard performance. Use caution and only select plugins with a hefty number of good reviews. Reducing the number of images on your pages will help, too. Another method to reduce your bandwidth consumption is to utilize a CDN (Content Distribution Network) solution, such as CloudFlare. CloudFlare has many advantages (discussed here,) among which is decreased bandwidth usage. This is because the CDN caches images and other content off your server, and send it to your readers from their nodes – not your server itself. If you’d like us to help you learn how you might be able to lower your bandwidth utilization, just let us know in a support ticket – we’ll be happy to help! This entry was posted in Blog, Customer Sites, Hosting on December 11, 2014 by Host Administrator. There’s a coupon code in here! Keep reading for a fantastic discount. One of the first customers to sign up with Black Chicken Host was Pantry Paratus. We had a wonderful phone conversation, got to know one another, discovered a lot of common ground, and started a really fantastic partnership. 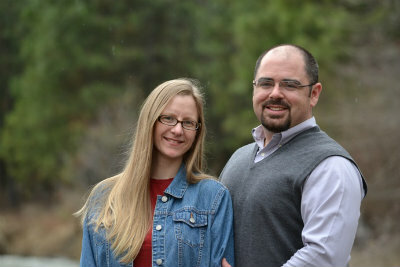 In addition to their merchandise, PP owners Wilson and Chaya provide an abundance of information in their blog and knowledgebase posts, too. They have a strong social conscience and a vast amount of compassion. You can feel good supporting this business, because they support many of the same causes you feel strongly about. 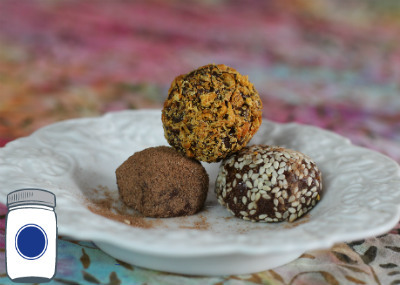 Perhaps not coincidentally, the promotional code they’ve come up with for me to use in this post is directly related to the truffles: Their best-ever coupon for spices or baking ingredients – lucky you! Here it is: 25% off AND Free Shipping on anything from the “Bulk Spices” or the “Baking Ingredients” sections of their store. Just use the code “black-chicken” at checkout. Seriously! That’s a mighty good deal. Plus, how can you not love these sweet faces? I hope you’ll head over to the Pantry Paratus website and have a look around – go for the merchandise, and stay for the blog. You’ll get to know Chaya and Wilson, so you can be confident buying from them – meaningful and mindful consumption. Don’t forget to use your “black-chicken” coupon code for the fantastic discount. This entry was posted in Being Green, Blog, Customer Sites, Food, From the Founder, Homesteading, Sustainability and tagged cooking, discount, kitchen, online shopping on May 31, 2013 by Host Administrator. Last week, I spoke with the lovely and talented Chaya of Pantry Paratus over Skype. While she was ostensibly interviewing me for a Pantry Paratus Radio podcast, it was more like a nice conversation with a good friend. We talked about everything from raw milk to website hosting to balancing homesteading with full-time work and all of life’s trials. One of the not-too-secret secrets I have is that I hate computers. I really do. It didn’t start out that way, of course. I found myself working in the Information Technology business in the early nineties almost by accident. I hired in as a part-time computer lab assistant at the University of Michigan, worked my way up the ranks, and before I knew it… I had A Career. Geekiness does run in my family; my dad is a computer geek, and his father was an engineer. I come by it honestly. This entry was posted in Being Green, Blog, Customer Sites, From the Founder, Hosting, Social Consciousness and tagged hosting, mindfulness on October 11, 2012 by Erin D..
A Return to Blogging Season with a Giveaway! We’ve had a very busy summer here at Black Chicken Host, with work and home activities keeping us away from the blog. We haven’t been dormant, though! We’ve continued to develop great partnerships within the industry, brought on a lot of new customers, and are as excited as ever about the future. …and my skin will become crispy and dried, much like the falling leaves. This entry was posted in Customer Sites, Giveaway, Health, Sustainability and tagged giveaway on October 3, 2012 by Erin D..
©2012 BlackChickenHost.com | Custom WordPress design by The Web Guy.